Attendance At This Weekend’s Lotus(less) Festival? Why, Yes! Home » Echo Park Events » Attendance At This Weekend’s Lotus(less) Festival? Why, Yes! 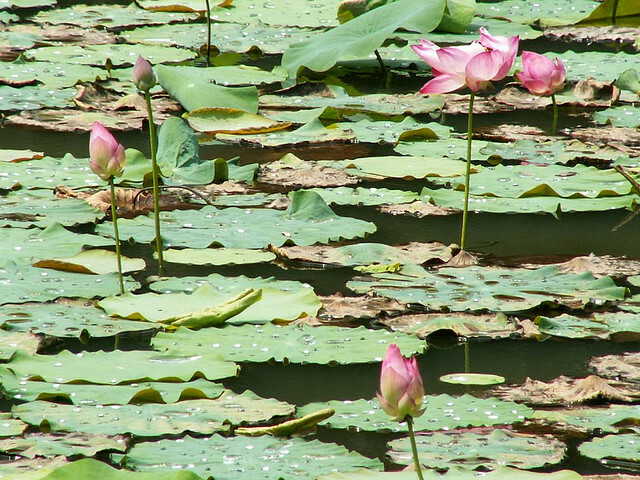 It wouldn’t truly be Summer in Echo Park without the 33rd Annual Lotus Festival, sans the darling lotus leaves of its namesake. 2. The Lotus Festival will disappear for the next 2 years while Echo Park Lake is rehabbed under Prop O. 3. A fireworks show above the Lake, Saturday night at 9 p.m., will inspire double rainbow exclamations for all attendants. I’ve attended the day time festivities — a circus of booths, bands, art, food, and hipsters as they revel in Asian and Pacific Islander communities — but believe the real magic happens after 8 p.m. Saturday night. Parking is easier to find, the hot weather subsides, and the crowd eagerly anticipates the glow above the Lake. Take the kids, plan a date, and walk about Echo Park Lake. When: Saturday, July 9, 2011 – 12 noon to 9:00 p.m.
Sunday, July 10, 2011 – 12 noon to 8:00 p.m.
Why: Because the cool kids do. For tips on parking or additional information, feel free to call or text Jovelle at (213) 718-1110.